With clean and elegant design with vibrant colours, Total grabs all the attention towards your website! 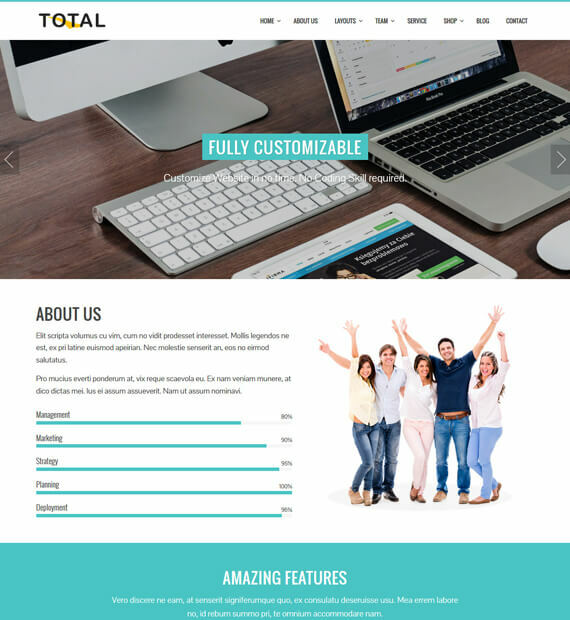 The theme is multipurpose and you can use it in any type of website whether you own an education, business, eCommerce, travel, or personal blog or website. Furthermore, the unique Total theme can be customized to the user’s preference including the colour schemes and almost every element of it! You can also view the changes that you make live with the live preview option!